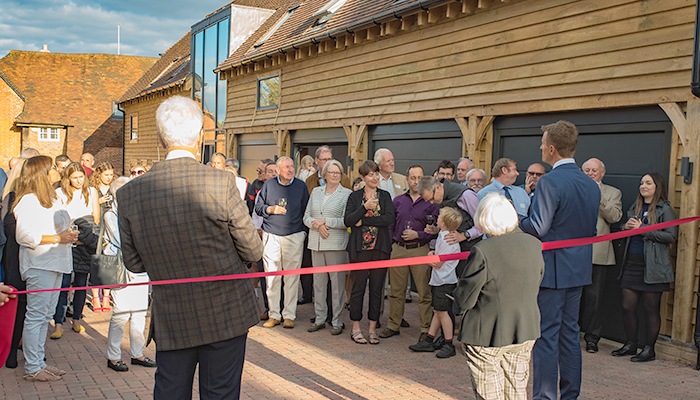 6a Vision Homes hosted an event for the local people of Petersfield, Clarendon Close residents, business owners, councillors and the Town Mayor to mark the completion of the build, and thus the Grand Opening of this new development at Clarendon Close. 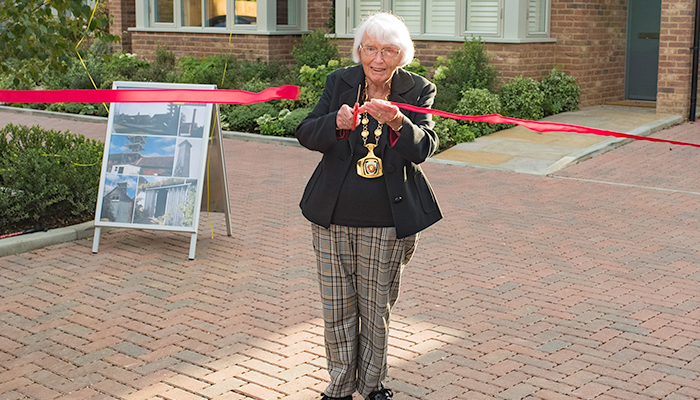 Hilary Ayer, Town Mayor formally opened the development, by cutting the ribbon. 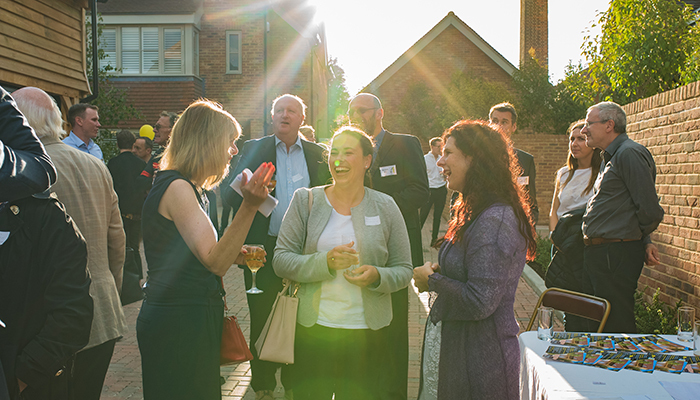 Guests enjoyed drinks and food in the late evening sunshine, while a classical quartet and fluatist from Churchers College performed. 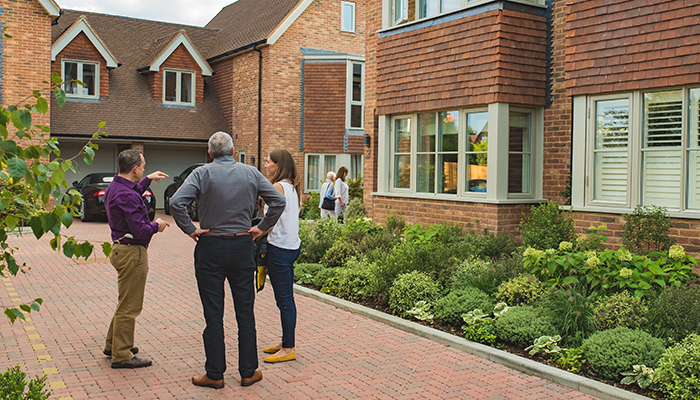 Guests were invited to explore the development both inside and out – with the Barn, Engine House and Show Homes open to wander through and see the exceptional attention to detail and considerate development for themselves. Clarendon Close, formerly Holders Yard, has been an important part of the Town for many centuries in many guises, and 6a Vision Homes are very pleased to add the next chapter to that history and provide the backdrop for the next centuries’ uses, now relevant to todays demands. CONSTRUCTION TECHNIQUES:- Steel frame construction, Oak frame construction and traditional construction. These contrasts came with their challenges throughout the design and build processes, but have helped us to deliver an architecturally rich and diverse interesting development that will be a hub for work and family life for many generations to come, amongst two important and strong reminders of the Sites history. Many people have been involved to taking this site from its recently forlorn state to what we see today. From the people of Petersfield voting on the local plan, to those who worked hard to create the plan, the Parish Council, the local Town Planners at EHDC had considerable input and passion and the South Downs national Park, not to mention the professional team and the build team – and 6a vision are proud to be a part of this process of enhancing our home town of Petersfield. We would like to congratulate the whole 6a Vision team for their tireless efforts to achieve the best every step of the way, enduring endless pressure, countless build details, extreme weather – from snow to scorching hot days and this year, even the so called ‘Beast From the East’. Well done all. It is a project to be proud of today and for years to come. We at 6a look forward to future projects in Petersfield and continued work to contribute to the future of our home town that can be enjoyed for generations.